March 2014: Tips, eNews & More! Do you deserve a break? It has been an especially cold winter and while the days are getting a little longer and warmer every day, the cold can take its toll on everybody. As spring approaches, take time to relax. If you have children in school, you know it is March break this month. We hope you have the opportunity to take a few days off and enjoy some fun spring activities! It is also a good time to get ahead of your dental care before summer really starts. What better time than now to make an appointment for the whole family? March is a great time to start getting fit for the summer, so it is appropriate that March is National Nutrition Month and this year, the theme is 'Simply Cook and Enjoy!' Proper nutrition is integral to overall health and vitality. The foods you choose to eat also impact your oral health from the moment you put them in your mouth. Click here to learn more about Nutrition Month. As always, we encourage you to learn more about your health, and remember that the kitchen is a great place to experiment with new ingredients. Let us know what you think of this month's healthy recipe. If you have not already done so, please take a moment to complete our short, five question survey. We are always looking for ways to serve you better and you feedback will help us to continue to strive for excellence in 2014. Port Hope Dental's Spring Potluck! 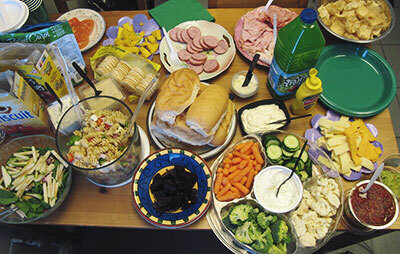 On March 13, Dr. Benedict and the team enjoyed their spring potluck – just in time for St. Patrick's Day. Green was the colour of the day: plates, cups, napkins, juice, spinach salad, Greek pasta salad (yum), a delicious assorted buffet of buns, deli meats, cheese, veggies, crackers, chips and an array of dips. We rounded out the meal with homemade ice cream cake – even though it was -20 – who doesn’t love ice cream? Look for the ice cream cake recipe in the April newsletter – let us know what you think. Our Survey Early Bird Winner Announced! 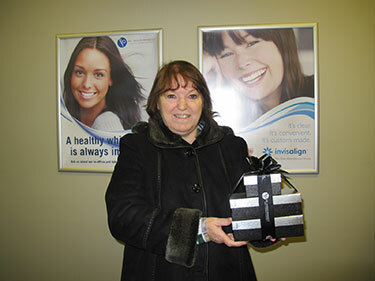 Congratulations to the winner of our early bird draw, Iris! We hope you enjoyed your chocolates! 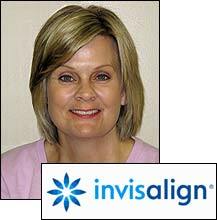 Nancy, our dental receptionist, is now using Invisalign and she has decided to share her experience with you! Well I am getting closer to completion of my Invisalign journey. It first started December 2012 looking at 12 to 15 months for my total treatment to be completed. The time has gone by so fast with amazing results. It’s hard to remember exactly what my teeth looked like at the start of treatment. I often look back at the before pictures just to see how much my teeth have transformed. Click here to continue reading and see after photos! A big bowl of pasta makes great comfort food. 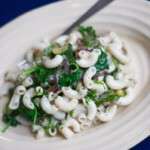 This month, we've got a tasty, green pasta salad to get you in the spirit for St. Patty's Day! As rich in nutrients as it is delicious and refreshing, this salad blends vitamin-packed veggies like kale, asparagus, red onions and zucchini. Click here for the recipe to get you started.